Kombucha contains high levels of antioxidants, b-vitamins, probiotics and glucaric acid. It has been reported to have a variety of health benefits. 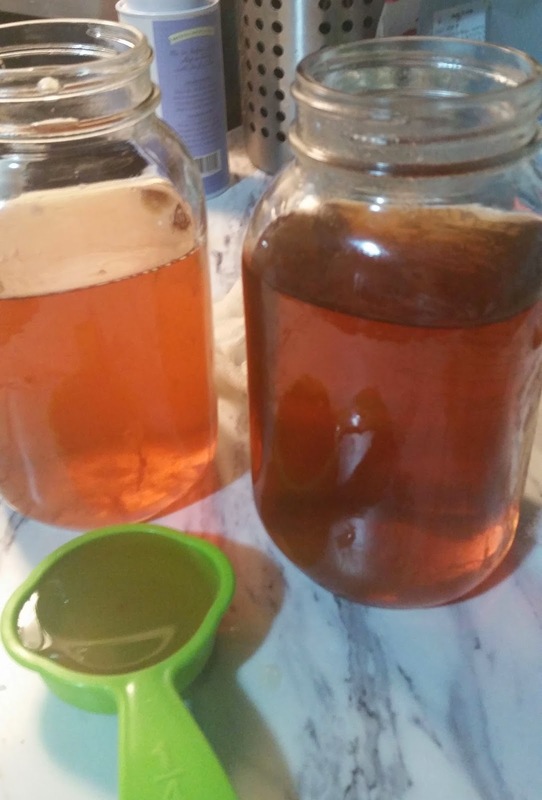 Find out about Kombucha here. Kombucha is brewed from sweetened tea, most of the sugar ferments out. 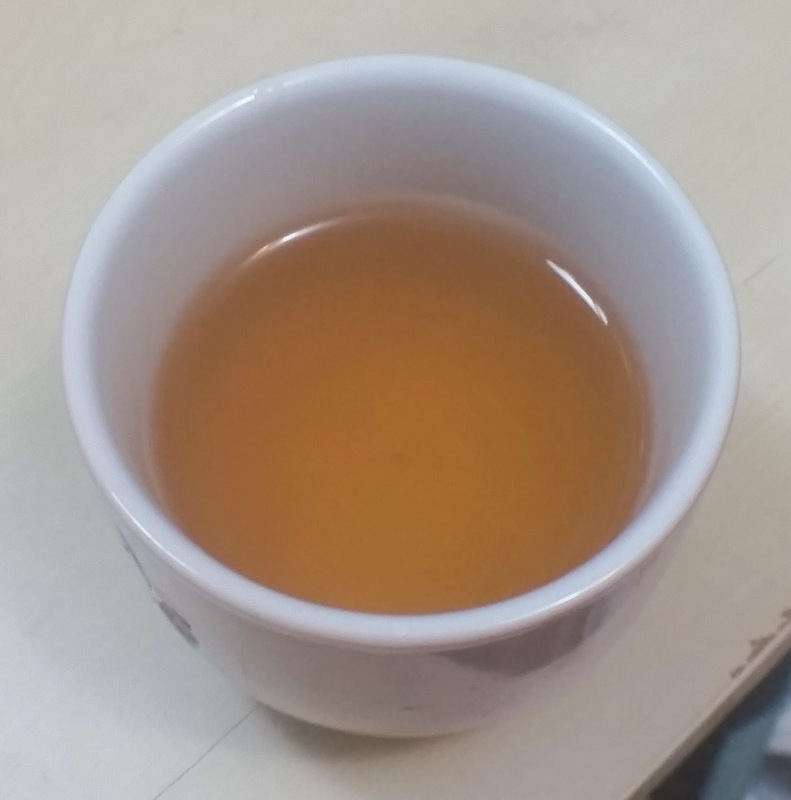 It is made caffeinated or green tea. 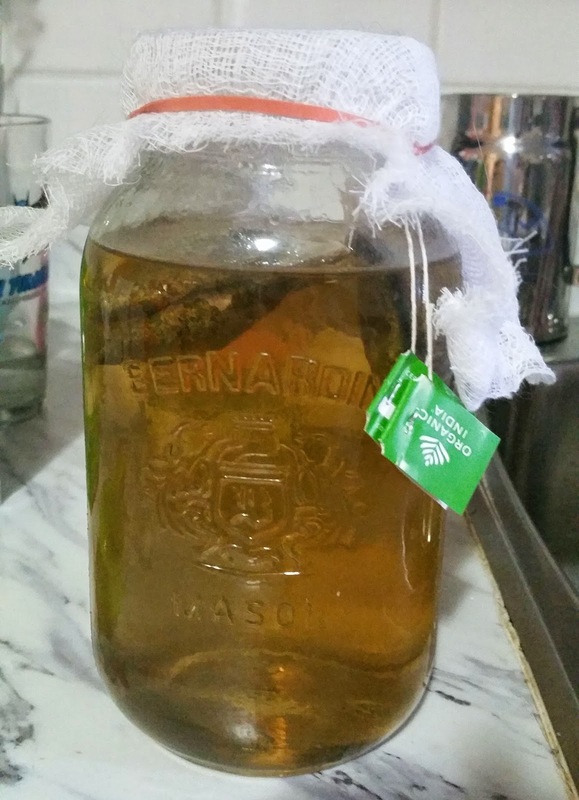 When you are starting this for the first time I wouldn't sagest herbal teas unless you have a PH meter. The Kombucha is brewed with a SCOBY (Symbiotic Colony of Yeast and Bacteria) that “eats” the sugars and the caffeine in the tea and creates an acidic, vitamin and probiotic rich beverage. 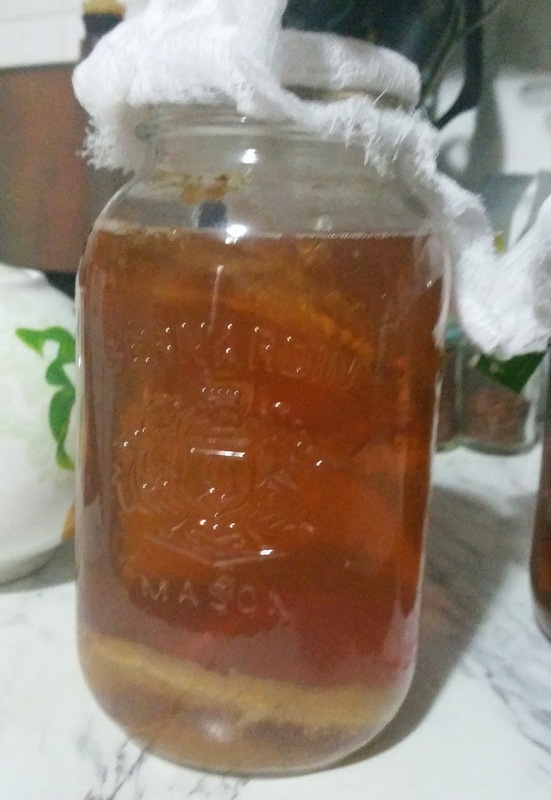 Find out more about SCOBY here. 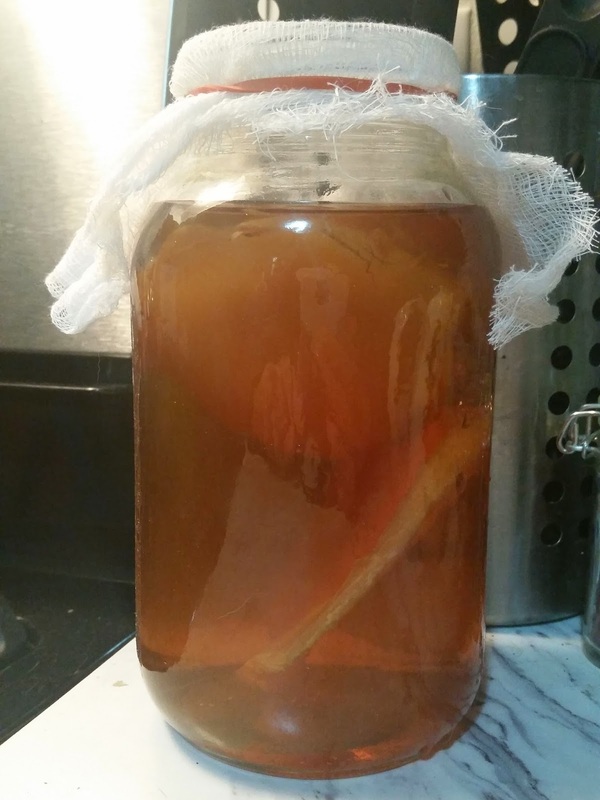 How to Get a SCOBY? 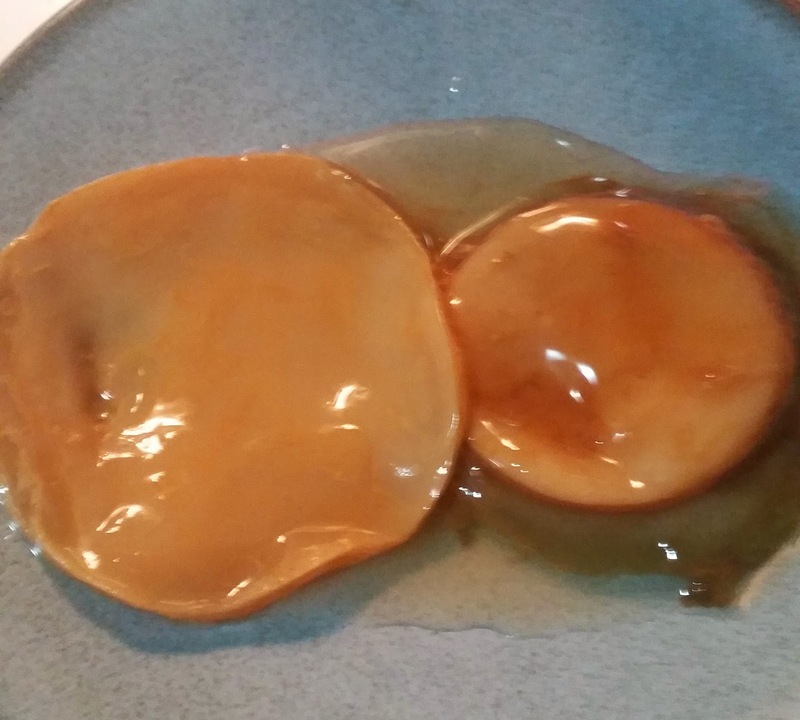 SCOBYs are living and thriving colonies of bacteria and unfortunately, you can’t just pick one up at your grocery store. I got mine from a friend, this also seams like the easiest way to get one. This is called a "baby" SCOBY. 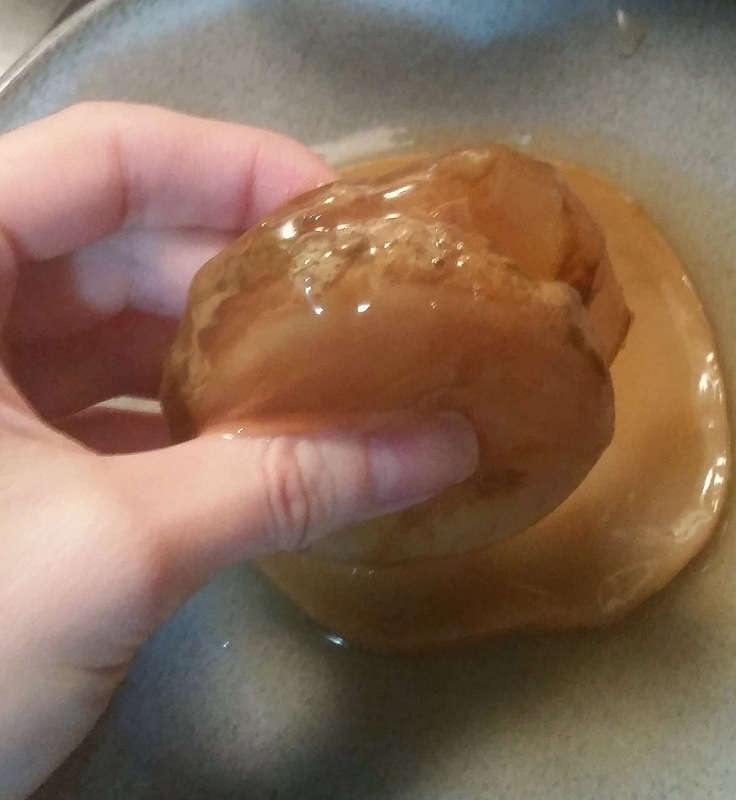 Every time you make a batch of kombucha the SCOBY makes a "baby". :P Funny I know. Or try to grow your own but I haven't tried this. Make sure your hands and everything is clean before you start for no cross-contamination. Pour in 1/4 from the old kombucha that the SCOBY was in into the new jar. With clean hands take the SCOBY out of its old jar. You can now take off any old layers if its getting too big. Let sit to ferment for around 5 days at the least up to a month. (I like to leave mine for 7) You can test the Kombucha by placing a straw in the jar carfully. It should taste tart but still very slightly sweet. You can add what ever fruit or fruit juice to add some flavor to your tea. I like to drink it as is. I quite like the taste. * (You don't have to do this step. 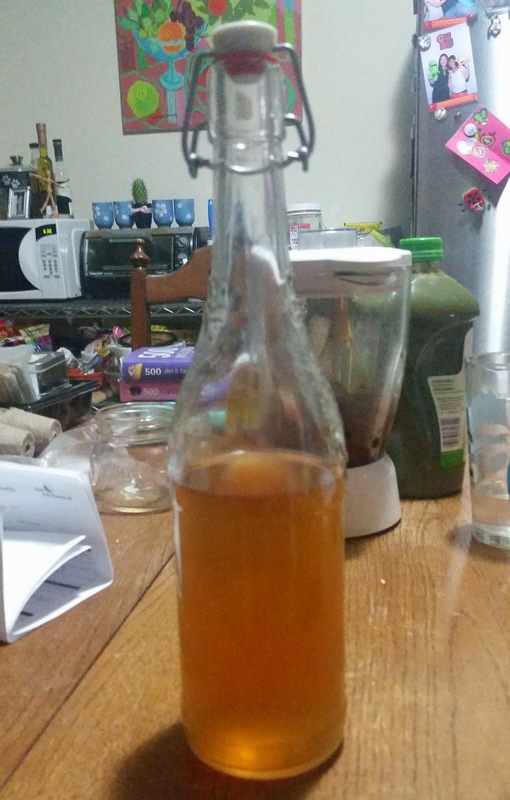 )Now the Kombucha is ready for a second ferment. Pour the Kombucha into another jar with an airtight lid and seal for about 3 days. This adds the bubble to your drink. 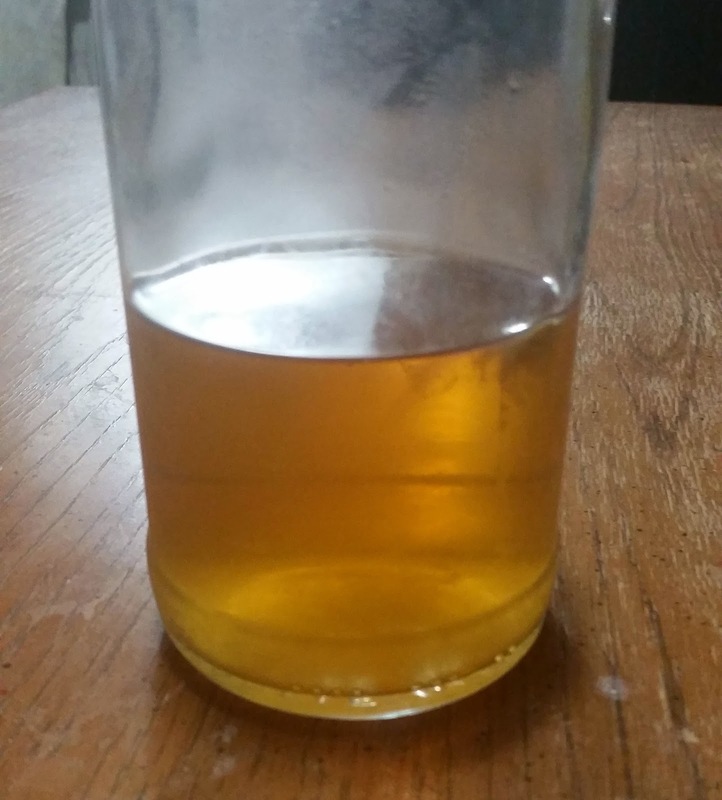 Have you made Kombucha before what do you think? 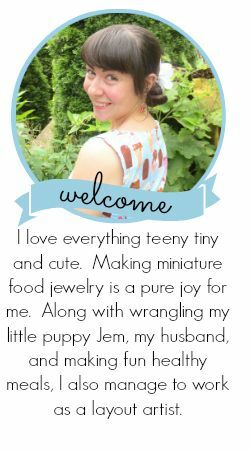 What is your favorite thing to add to yours?